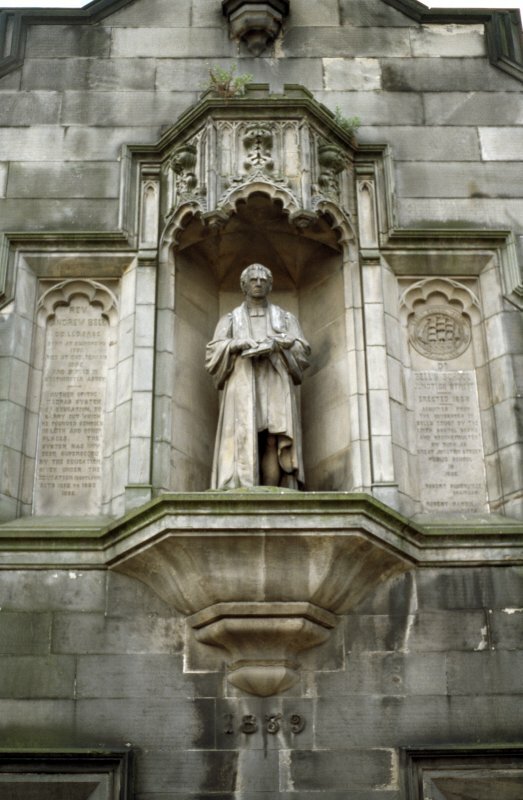 Detail of statue of Dr. Bell flanked by inscribed panels, Great Junction Street, Edinburgh. 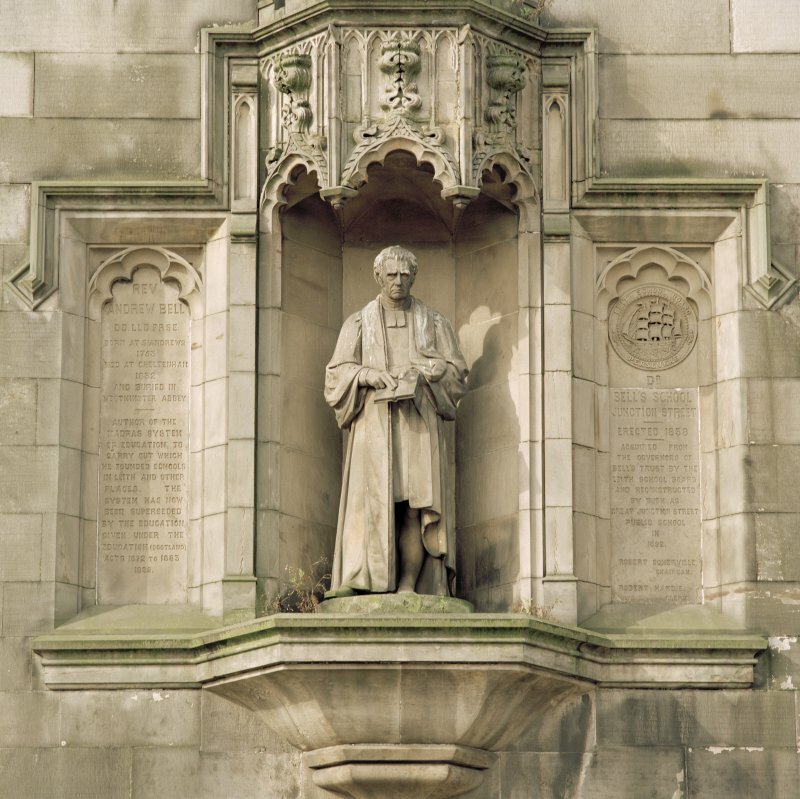 View of statue of Dr Andrew Bell in niche. Leith. Dr Bell's School, Great Junction Street. (Edinburgh Evening Courant, Nov 19, 1838). Ornately canopied niche containing statue of Rev. Andrew Bell wearing the robes of a divine, and holding an open book [a Bible] in his hands.